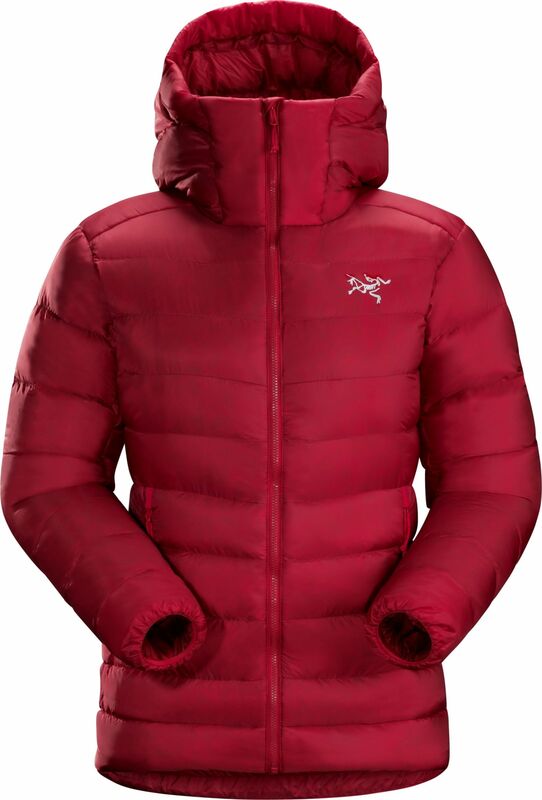 Arc'teryx Women's Cerium SV Hoody (F2018) is the warmest Arc’teryx down midlayer and a versatile standalone in frigid, dry conditions. Arc'teryx Women's Cerium SV Hoody (F2018) is the warmest Arc’teryx down midlayer and a versatile standalone in frigid, dry conditions. The differential fill employs varying volumes of 850-fill goose down for efficient warming, and a pleated baffle structure helps eliminate cold spots and direct loft towards the body. The women’s specific design is articulated for freedom of movement, the insulated StormHood features glove-friendly Cohaesive adjusters, and Coreloft synthetic insulation is used in areas prone to moisture.